Michelle is a very good friend of mine (not only because she loves my cupcakes) but also because she is such a generous and genuine person. She has all the character traits of a fantastic friend as she is kind, helpful, a great listener, loads of fun and a great wife and mother too. 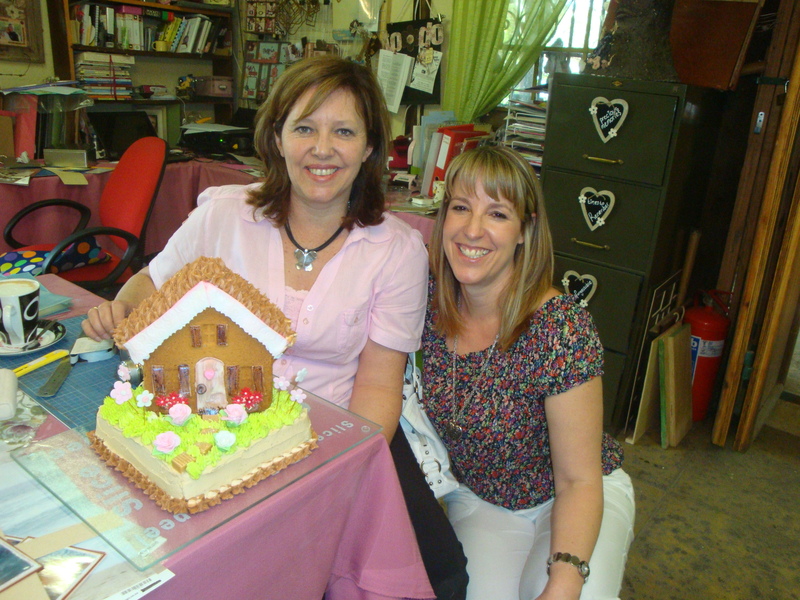 When I was going through ideas for a surprise birthday cake for her there were so many different ideas I came up with as Michelle loves nature and beautiful and creative things. 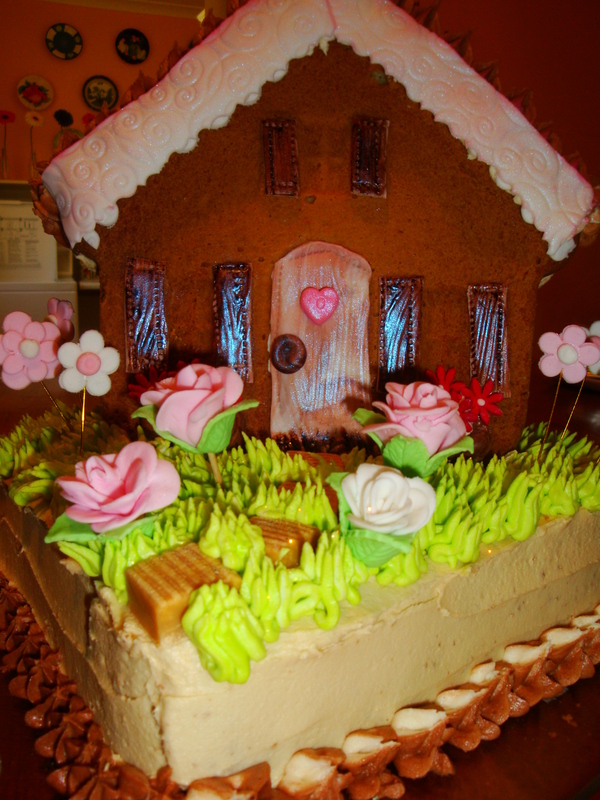 I decided on this Little House and Flower Garden cake as I found a delightful pan to bake the cake in and it was appropriate for her with her doing renovations to her home at the moment. Maybe we can do another one for the house-warming Michelle! I baked a square cake and iced it with Michelle’s favourite coffee icing. I iced the 2 house cakes together with the same icing and then placed them on the cake with lolly stickers in for extra support. The roof I iced with the same coffee icing and then used green icing for the grass and caramel sweets for stepping stones. 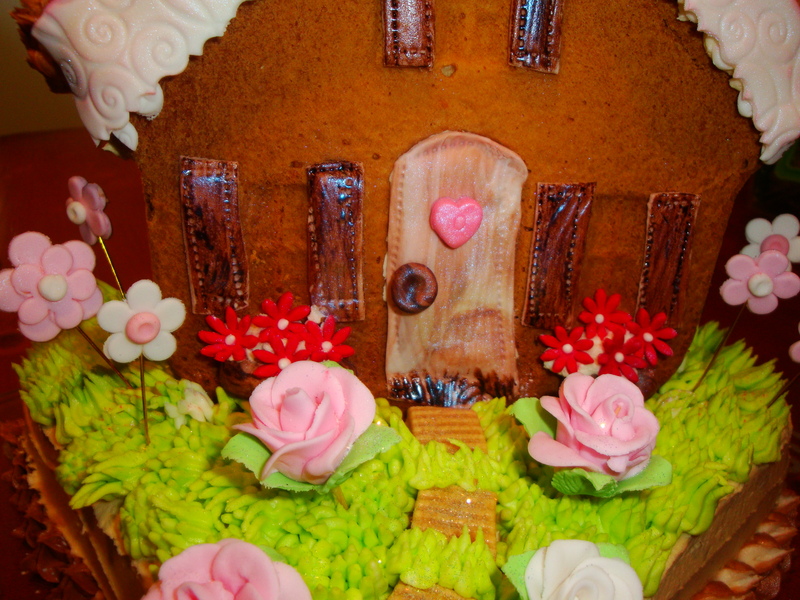 I added a sugarpaste door and shutters for the windows and then added sugarpaste window boxes with red flowers and ‘planted’ pink and white roses and flowers in the garden. We celebrated Michelle’s birthday at the Memory Shed and once again it was the perfect setting and perfect group of scrapbookers for Michelle to celebrate another year being wiser.